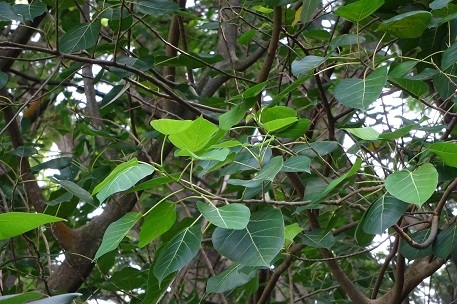 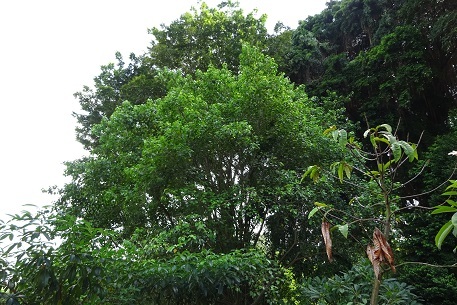 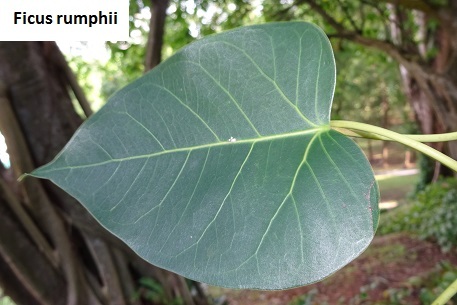 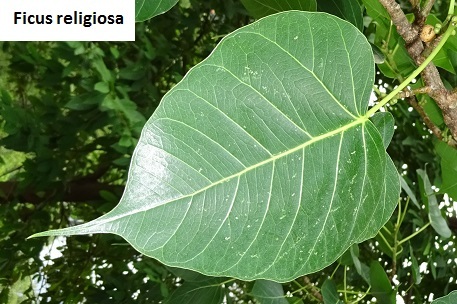 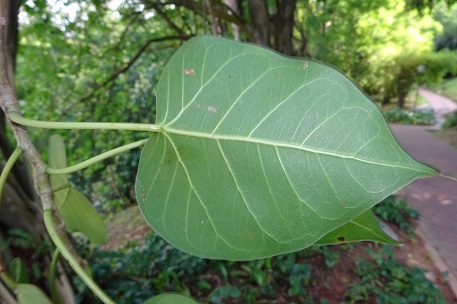 The leaf of Ficus rumphii is very similar to that of Ficus religiosa. 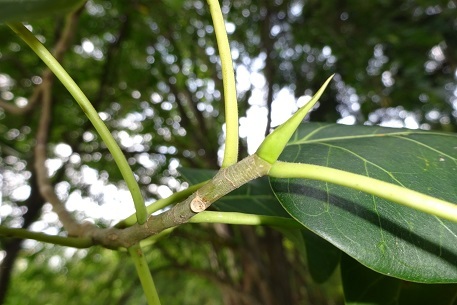 One distinct difference is the feature of the leaf tip. 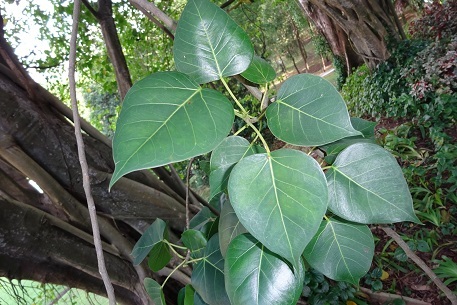 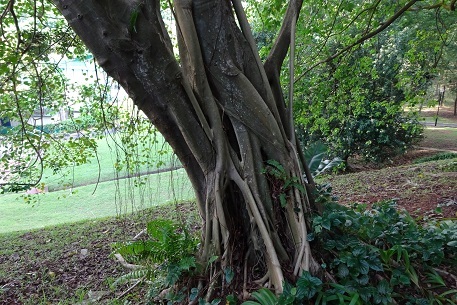 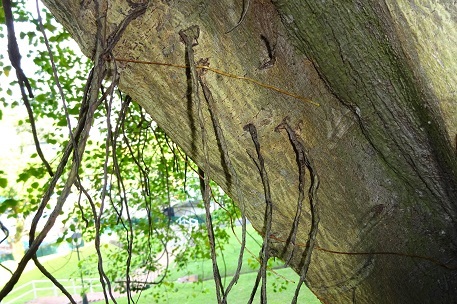 Ficus religiosa has a narrow and long leaf tip while Ficus rumphii has a pointed but short leaf tip.